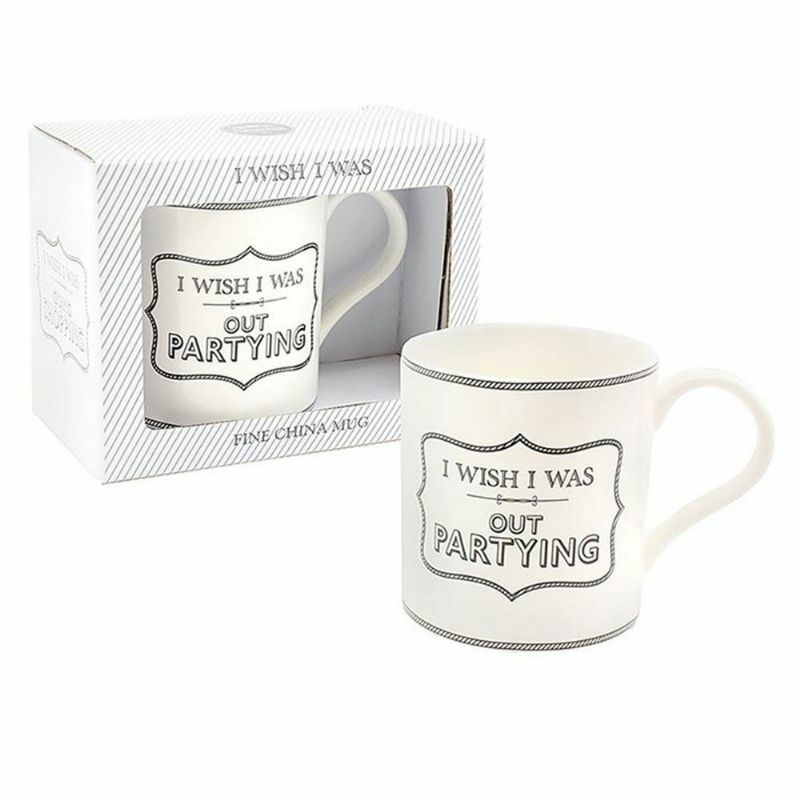 "I Wish I Was.... " China Mug. Gift boxed. Brilliant gift idea - a great way to raise a smile for someone that loves a particular past time. Generously sized at approx 9.5cm tall, 8.5cm diameter. Superb quality, microwave and dishwasher safe. Soft creamy white with a striking black text and design. Very smart - suitable for both men and women. All mugs in this series co-ordinate - make a fun and varied set for your home.